William King, Company Director approached Phoenix Enterprise Centre in 2008, initially seeking business advice and guidance. 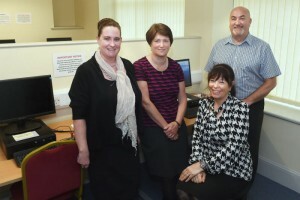 He then went on to complete the ‘Linkstart’ training course through the West Cumbria Development Agency. Brickwork Solutions are a family run, Construction Company who undertake and manage a wide spectrum of domestic and commercial building projects. William employs six members of staff and since starting trading has trained four apprentices into fully qualified tradesmen. Throughout the development and growth of his company he has returned regularly to Phoenix Enterprise Centre for advice and support. By frequently attending training courses, he continues to ensure his company adheres to high levels of health and safety and professionalism. All the while progressing and moving with the times with a highly skilled workforce. 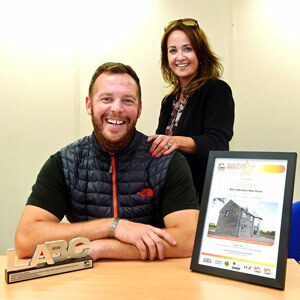 Brickwork solutions are the northern winners for the Local Authority Building Control (LABC) Excellence Award. They received the accolade for ‘Best Individual New Home’ for the new build ‘Lily Hall’ in Ennerdale. They will now go forward to the national finals, which takes place in London later in the year. Brickwork solutions have also become a regular subcontractor for national firm, Mitie who are currently responsible for the maintenance contract at Sellafield. Scruffy Dog Media are a video production company who create innovative video content for a contrasting range of clients, from small businesses to multinational firms. The company focusses on two main areas, the first being children’s educational productions. Clients include HIT Entertainment, who are one of the world’s leading pre-school entertainment companies. They have been involved in the making of Thomas the Tank Engine (Mr. Perkins) and Bob the Builder. They do a lot of work for their YouTube channel and Disney DVD’s too. They have secured a three year contract with South Tynedale Railway, where they are filming their Heritage project about the developments and improvements of the railway. This will ultimately produce an educational documentary which will be hopefully broadcast on mainstream television. The other side of the Company is ‘Engineering Films and Media’ which offer a unique video production service specifically for clients in engineering, industrial, technology and the nuclear sectors. Providing a complete workflow from an initial idea to a finished project. Since then they have employed two new staff members and are currently looking into taking on an apprentice. 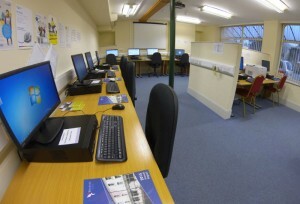 They have also adapted one of the office spaces into a high-tech ‘4K’ editing suite. Scruffy Dog Media are currently working with James Fisher and Sons, making short films to showcase their facilities for the company’s website. Company directors, John Gilluley and Lorna Hardy offer a wealth of broadcast and corporate media experience, which together amounts to over fifty years in the industry. They have created very rare and valuable opportunities for Cumbrian graduates who wish to work in the world of film and TV without having to move away from their local area. 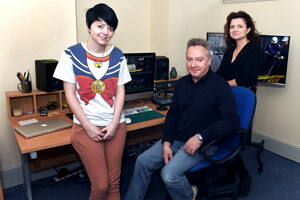 Local graduate, Sam Cannings, 23, from Hensingham completed a degree at Teeside University in Computer Character Animation. She received a first class honours, however once returning to Cumbria she found job opportunities were very limited. She heard about a potential opportunity from a job centre representative who works at Phoenix Enterprise Centre. Upon completing a three week trial at Scruffy Dog Media she was offered a six month position as an Editor and Animation Designer. She was delighted to find out that her contract will be renewed again. North Press are an innovative creative agency, specialising in graphic design, website development and printing. Ross Whitfield, Managing Director, said: “We work with small start-ups to large corporate clients developing fresh, modern brands. Some clients require a simple business card designed, others require rebranding, incorporating logo and stationery design, website development and other various promotional materials. Phoenix House is now home to the only digital printing press in Cleator Moor, the first in over twenty years. North Press are able to produce high quality printed products within hours, not days, for companies requiring a quick turnaround. Utilising a digital printer allows North Press to print small quantities at very economical prices. After looking at various options for office accommodation, REACT Engineering chose Phoenix Enterprise Centre as their base in early 2011. Their current premises at Phoenix Court, Phase Two provides them with the right environment, services and space, at an affordable price, allowing the company to develop and expand. As one of the first professional companies to base themselves at Phoenix Court, REACT is delighted to see more businesses following, helping Cleator Moor become a thriving business nucleus. Easby Owell Publishing (The Guide Magazine) are one of our longest standing tenants, based in Phoenix House. Paul Seath began working for the popular Cumbrian magazine, The Guide, on a trial basis. Having shown great promise, he lacked experience. Company owner, Steve Murphy worked with the Phoenix Enterprise Centre to secure a wage subsidy through the Copeland Borough Council, Young Person Guarantee Scheme. 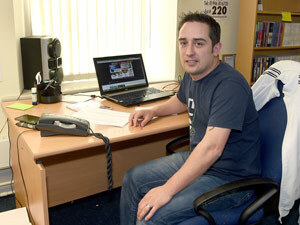 The subsidy allowed Paul to gain the necessary experience to become a fully contributing member of the team. Five years later, Paul is now ‘Sales and Distribution Manager’ for the publishing firm and is responsible for the distribution of tens of thousands of magazines countywide. In 2009, Annette joined the Phoenix Enterprise team on a temporary basis as a Domestic Assistant. She was quickly offered a permanent position, and adapted well to the work and showed lots of initiative and ambition. When a receptionist role became available, a training plan was devised and Annette was enrolled onto various courses to expand her skills and knowledge. Since then she has completed a Level 2 Certificate in Business and Administration and the First Aid at Work training programme. Working alongside her peers she never misses an opportunity to learn. She will shortly begin a NVQ Level 2 in Business Administration. 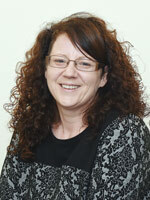 Annette is a valued and flexible member of the Phoenix Enterprise Centre team. She can be found covering the reception desks, and when needed, assists in the Finance Office.